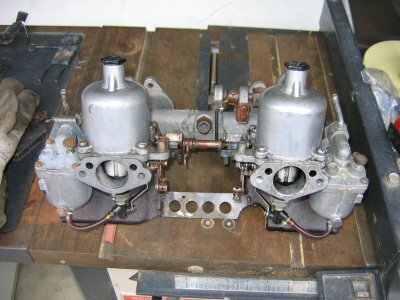 I haven't made much headway on the 510 as I've been waiting for parts, and even now, the folks who sold me the gasket set on eBay sent me the wrong set... so I have to wait even longer. Anyhow, I figured I'd share some other stuff that's gone on recently. 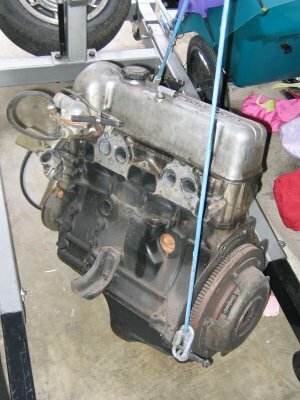 First, I traded out the front-clip to my spare 1969 510 to Icehouse on the Ratsun forums for an L18 engine. 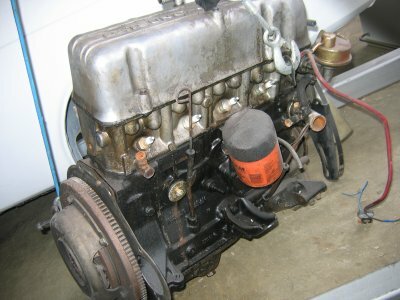 Here's Icehouse offloading the front-clip out of his KA24-powered Datsun pickup truck. 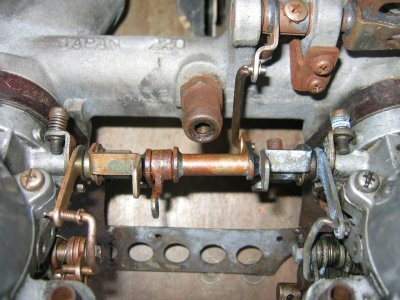 The SU carburetor finally came in, and I decided to buy a linkage kit (cost me $30 through the NISMO catalog). 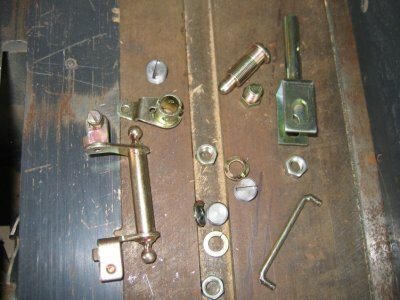 It turns out that I actually didn't need most of it, but maybe I'll replace parts anyway. That way, it'll have nice shiny bits on there. 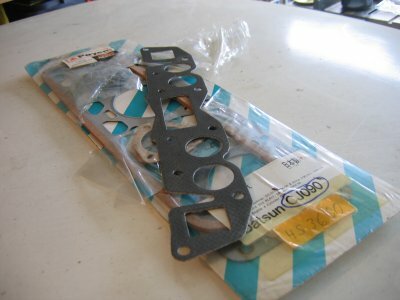 And here's the gasket set I bought. 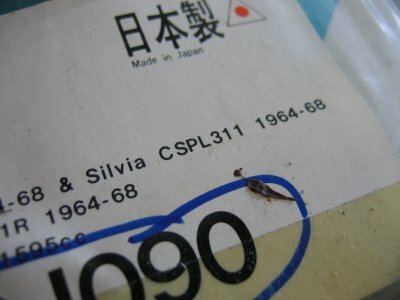 You can clearly see the "SPL 311 1964-1968" markings on the packaging in the second picture. Hopefully the folks that sold it to me own up and refund me my money.